Change happens because people find that the changes work for them. In its quest for modernization, the Army can learn a great deal from one of the world’s leading authorities on organizational development. 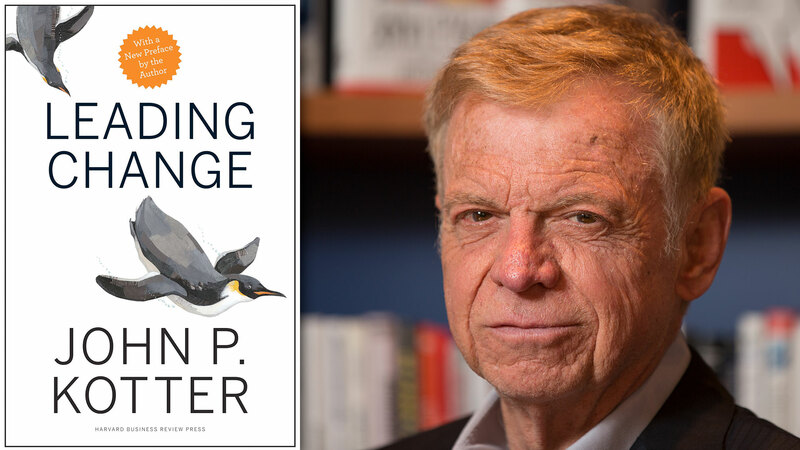 Few have studied more intensely the way that organizations large and small navigate through times of great change than Dr. John P. Kotter. First as a professor at Harvard Business School, and now as a professor emeritus and as co-founder and chairman of Kotter International, a consulting company he started in the wake of the overwhelming response to his research, he has become the go-to authority on leadership and change. His 20 books have sold millions of copies in over 150 languages. His goal, as Kotter International’s website puts it, is to “help mobilize people around the world to better lead organizations in an era of increasingly rapid change.” As the U.S. Army stands up the Army Futures Command, and Army acquisition enters a period of profound change aimed at getting better capabilities to Soldiers faster, Army AL&T talked with Kotter in October about change and leadership. Kotter is not an expert on the military, but Army leadership’s sense of urgency and resolve impresses him. Kotter warns, though, that even the best of intentions to face reality can be overwhelmed by today’s rapidly evolving technologies. 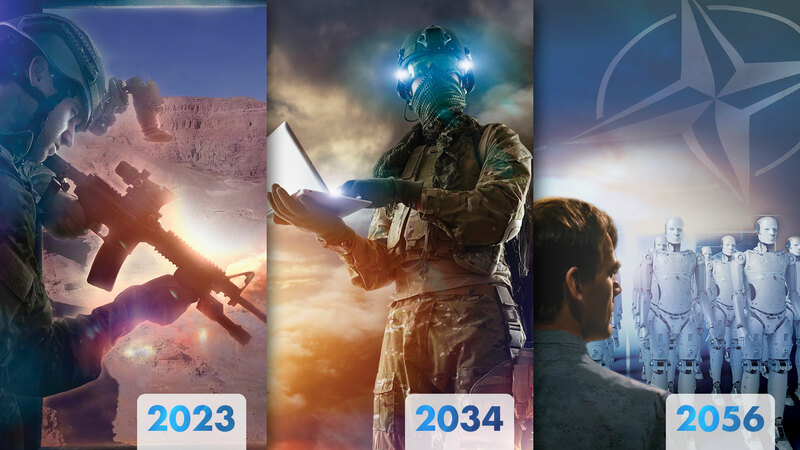 “Everything needs to be accelerated to put up with just the speed with which [technology evolves] and the uncertainties and the less capacity to predict that we have today versus 10 years ago, much less versus 50 years ago or further,” he told Army AL&T. In the interview, Kotter elaborated on the requirements necessary for leading change successfully. To lead an organization in a time of change, creating a sense of urgency is vital. Maintaining that sense of urgency is just as important as creating it, Kotter said. Warning your workforce that it’s change or die doesn’t work without also outlining a vision for the future, Kotter said. Sometimes you have to blow an air horn to wake up a slumbering workforce. “But blowing an air horn in their ear the third time and then the 20th time and then the 600th time doesn’t work,” he said. “All they’ll do is focus on trying to stop you and your air horn. They won’t be paying any attention to whatever the real issues are.” That creates an anxiety-driven false sense of urgency, he said. Enlisting an army of true believers is vital to effecting real change, Kotter said. Develop a group of people who buy into the need for change and who want to be a part of it, and organize them in a way that enables them “to become your first phalanx of folks out there spreading the word.” And don’t just use them as an echo chamber, he said, but sound them out for ways to get to the desired goal. “They can come up with ideas that you and I would never dream of that are relevant within their context and within the culture that they’re in.” That, in turn, gets other people’s attention and “gets them moving toward that feeling of ‘we got to do something,’ and this is too important. … And they start infecting or attracting more and more people and it just kind of grows, and more and more people help out, coming up with more ideas to attract more people. Organizations, when looking to move in a new direction, often say they want to change their culture. Indeed, culture change is often at the top of the list of organization objectives. But Kotter says the very nature of culture means that it will be the last thing an organization can change. “Culture is air. It’s mist,” he said. “Good luck trying to grab it and twist it into some new form.” Kotter points to the 30 years following World War II, when anthropologists discovered islands in the South Pacific that had had no contact with modern technology or civilization. Anthropologists studied how these groups made decisions on feeding their families, seeking shelter and solving conflict. Eventually, Kotter said, these ways of performing tasks became the group’s culture—norms of behavior and underlying assumptions or beliefs about what is good, what is bad and what is valued or not valued, that are shared by a group of people. “Culture changes the same way,” he said. Groups are either unsatisfied with current practices or think there might be a better way. “That’s step one. Step two is if it works and it’s pretty unambiguous that indeed this produces a better result. They communicate that, there’s a little bit of cheering and high-fiving, and then you do your rinse and repeat.” Eventually the new habits replace the old, and the culture has changed. For more information, go to https://www.kotterinc.com/. Kotter first received widespread attention in the spring of 1995, when his article, “Leading Change: Why Transformation Efforts Fail,” was published in the Harvard Business Review. In very short order, the article jumped to the top of the Review’s reprint list. Create a sense of urgency: Help others see the need for change through a bold, aspirational opportunity statement that communicates the importance of acting immediately. Build a guiding coalition: A volunteer army needs a coalition of effective people—born of its own ranks—to guide it, coordinate it and communicate its activities. Form a strategic vision and initiatives: Clarify how the future will be different from the past and how you can make that future a reality through initiatives linked directly to the vision. Enlist a volunteer army: Large-scale change can occur only when massive numbers of people rally around a common opportunity. They must be bought-in and urgent to drive change—moving in the same direction. Enable action by removing barriers: Removing inefficient processes and hierarchies, for example, provides the freedom necessary to work across silos and generate real impact. Generate short-term wins: Wins are the molecules of results. They must be recognized, collected and communicated—early and often—to track progress and energize volunteers to persist. Sustain acceleration: Press harder after the first successes. 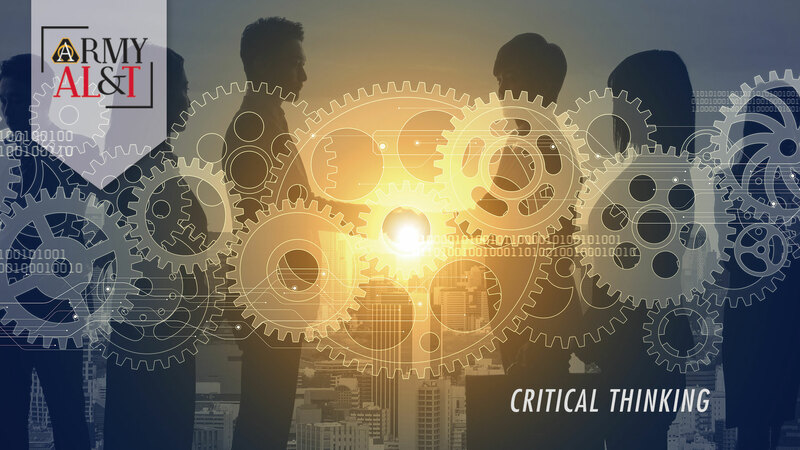 Your increasing credibility can improve systems, structures and policies. Be relentless with initiating change after change until the vision is a reality. Institute change: Articulate the connections between the new behaviors and organizational success, making sure they continue until they become strong enough to replace old habits. 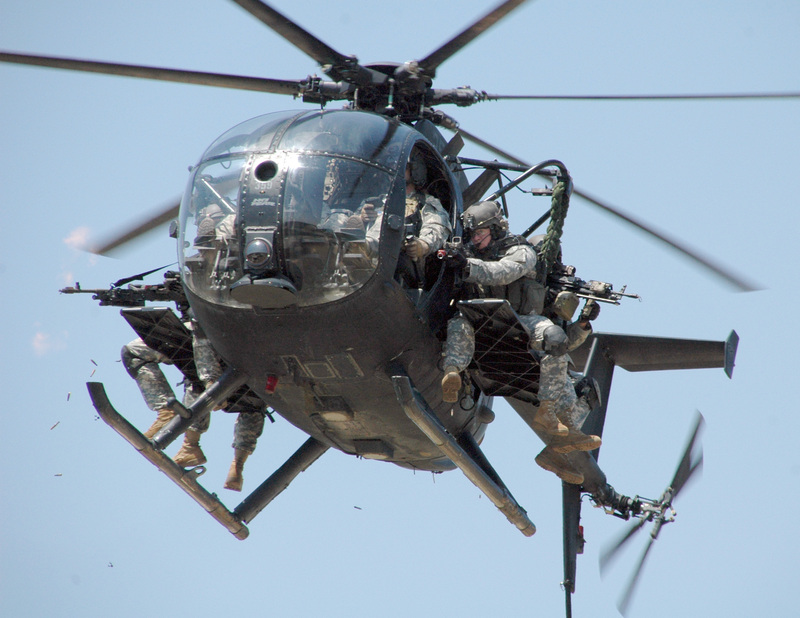 MICHAEL BOLD provides contract support to the U.S. Army Acquisition Support Center. He is a writer-editor for Network Runners Inc., with more than 30 years of editing experience at newspapers, including the McClatchy Washington Bureau, The Sacramento Bee, the San Jose Mercury News, the Dallas Morning News and the Fort Worth Star-Telegram. He holds a Bachelor of Journalism from the University of Missouri. This article is published in the April-May 2019 issue of Army AL&T magazine.